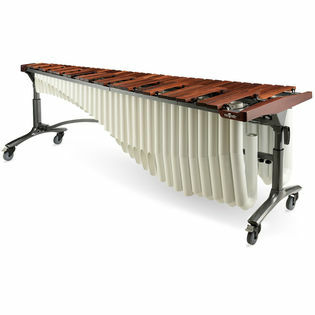 The Majestic Reflection Marimba is the product of extensive research and design with valued input form the world's leading marimba players. 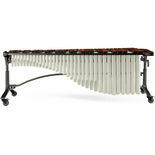 Majestic has created an instrument that delivers maximum tone and resonance through innovative bar suspension and spacing as well as an instrument that enhances the players comfort in performance. A syringe-inspired tuning system ensures air-tight seal and allows for quick, easy adjustment to over three octaves (C2-C5). Uni-Lift Single Side Height Adjustment – This means a single lever enables full height adjustment of the instrument with minimal effort. 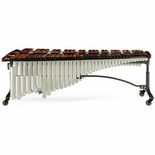 An in-depth look into assembling the Majestic Reflection Series Marimba.